Many obstacles hamper the international community’s efforts to find a solution to the Rohingya crisis. When I first visited Northern Rakhine State in 2000, specialised UN agencies – such as the UN High Commission for Refugees (UNHCR), the World Health Organisation (WHO), the UN Children’s agency (UNICEF), and the World Food Program (WFP) – had all been operating in Northern Rakhine State for some years providing assistance to Rohingya who were living under very tight government controls for some years. The UN agencies had been cooperating with Myanmar’s official agencies – and with donor countries, such as Australia – in a coordinated humanitarian assistance program for the Rohingya, who were still formally “illegal aliens”. These programs were supported at the time by some international NGOs including Doctors Without Borders (MSF) and Save the Children. None of this was widely known or reported, partly because of divisions inside the Myanmar regime about the Rohingya, who had been the target of a ruthless Myanmar army anti-insurgency campaign “Dragon King” in 1978. At this time, there was little or no sympathy from Myanmar’s domestic institutions for the Rohingya. Later some Buddhist extremists, such as U Wirathu, were actually gaoled (in 2003) for inciting religious conflict. UN Human Rights Council mechanisms have not previously played substantive roles in multilateral initiatives relating to the situation of the Rohingya in Myanmar. The HRC’s Human Rights Commissioner and the HRC’s Special Rapporteur on human rights in Myanmar since 2014, Professor Yang Hee-lee, has been viewed with suspicion by Myanmar’s military leadership since she strongly criticised Myanmar’s human rights performance and called for further UN action against Myanmar. 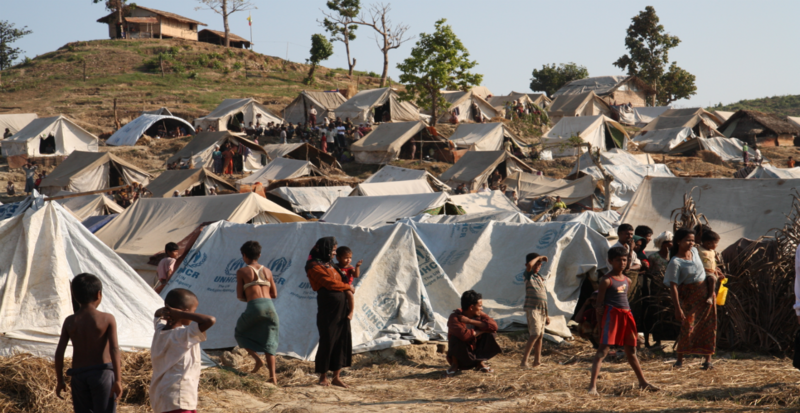 At another level altogether, ASEAN’s support for the Rohingya has also been decidedly mixed. True, some ASEAN members such as Malaysia, Thailand and Indonesia, have been complicit in collusion over questionable behaviour towards the Rohingya by their “law enforcement” officials and/or their citizens. This has resulted in dubious practices such as forced labour, illegal forced migration, people smuggling and trafficking of goods and narcotics. Agencies such as the International Organisation for Migration (IOM) have not been able to provide much help. Various bilateral mechanisms – some of which are supported by ASEAN member governments – have probably made matters worse. Bilateral investment treaties and migration agreements and sometime preferential trade agreements have, at the very least, complicated matters. 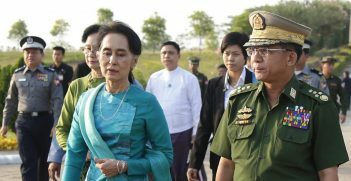 Contrary to speculation that there are good prospects for International Criminal Court action in support of the Rohingya people, it is most unlikely that ICC prosecutions could be successfully launched against senior members of the Myanmar military on the grounds of their culpability for what has been done to the Rohingya. The situation is not at all analogous to the ICC action against Milan Milosevic for the Serbian army’s actions against Bosnians in the former Yugoslavia. ICC prosecutions can only be mounted in cases where the country concerned has explicitly and deliberately accepted ICC jurisdiction under the 1998 Rome Statute. The Myanmar government has never accepted the ICC’s jurisdiction for actions carried out in its territory. Nor has the United States has accepted ICC jurisdiction, and so Washington would probably not be prepared to apply political pressure on Myanmar to fall into line. Furthermore, the UN Human Rights Council’s (UNHRC) standing in relation to the ICC is not particularly impressive. As a relatively new multilateral body, neither the UNHRC, nor the ICC itself, has so far been especially effective against Myanmar: it has not been able to convince any authoritative UN body to impose sanctions against Myanmar. Sanctions would need to be imposed through the UN Security Council, but the likelihood of a veto by one of the permanent members of the UN Security Council, likely Russia or China, makes this unlikely. The HRC’s two senior representatives in relation to Myanmar are currently being quite effectively ostracised by the Myanmar Government: The Commissioner for Human Rights, Zein Ra’ad al Hussein, who in 2017 accused Myanmar of “actions tantamount to genocide”, is being completely ignored by the current Myanmar Government, and al Hussein seems unable to initiate further action such as through the UN Security Council. The UNHRC’s Special Rapporteur for Human Rights in Myanmar, ROK Professor Yang Hang-lee has been denied access to Myanmar by the government after she publicly criticised its human rights record in 2015 and 2016. All the UNHRC has been able to do in relation to Myanmar is constitute a Fact Finding Mission (FFM) in 2017, composed of very senior human rights experts from Indonesia, India and Australia, to investigate human rights problems in Myanmar in 2017. But the FFM was firmly denied entry to Myanmar, and was only able to interview Rohingya who had already fled to Bangladesh. While the FFM has produced a credible and impressively detailed, comprehensive report attesting to gross violations of human rights, the UNHRC itself cannot take further action. So the only specific follow-up action so far has been the imposition of sanctions by individual members of the United Nations including the United States, the EU, Canada and Australia. But these sanctions are not applied consistently, lack any formal UN legal standing and can easily be ignored by other UN member governments. Attempts by the HRC to prosecute named members of the Myanmar military in the International Criminal Court (ICC) at this stage, would be seen by some UN members as vexatious litigation. For example, it would be hard to justify charges being brought against the Commander in Chief of the Myanmar Army, Senior-General Min Aung Hlaing, yet some activists argue in favour of his prosecution. Under Myanmar’s current 2008 Constitution, the Myanmar Army has responsibility for national security, internal security and border affairs. Trevor Wilson is a visiting fellow at the Department of Political & Social Change, Australian National University. 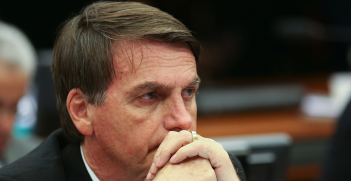 Bolsonaro’s populist policies are endangering civil rights and alienating Brazil from its neighbours. 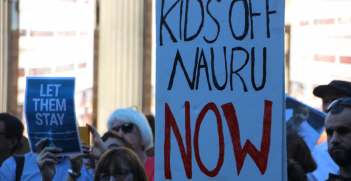 Although mounting political pressure has compelled the government to remove most children from Nauru, people seeking asylum in Australia continue to face significant risks to their physical and mental health. Justice for the Rohingya: Aung San Suu Kyi as Saint or Sinner? Imagine Myanmar State Counsellor Aung San Suu Kyi resigns, goes into exile and apologises for her conduct after the Rohingya massacre. Would this improve the prospects of justice for the events in northern Rakhine State?